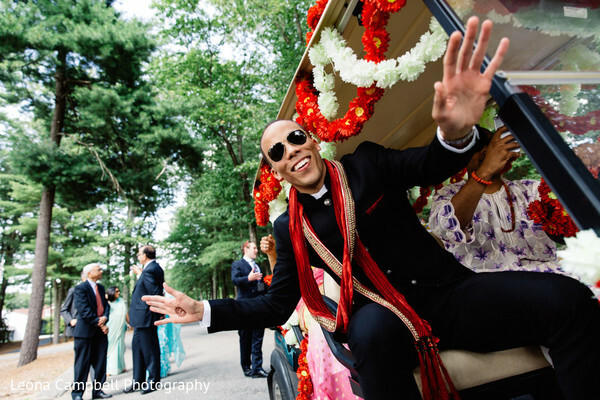 Welcome back, Maharanis! 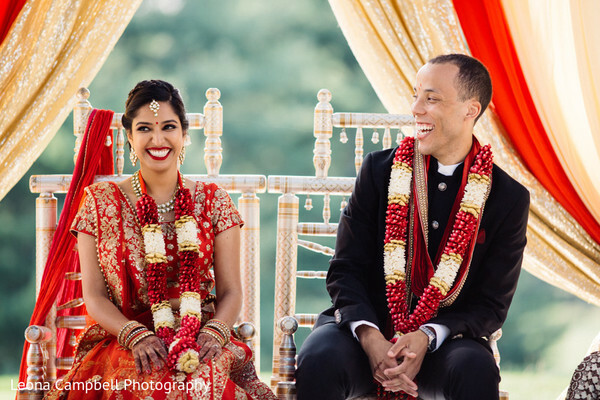 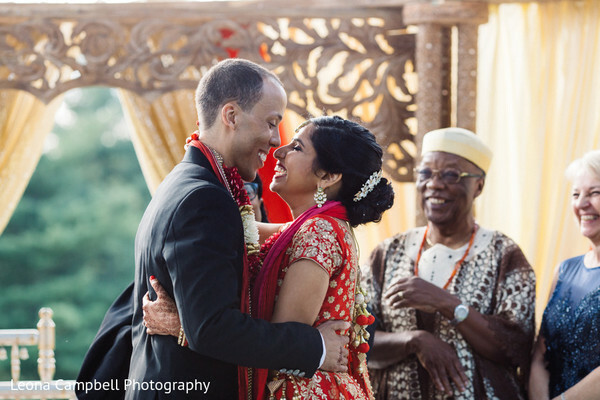 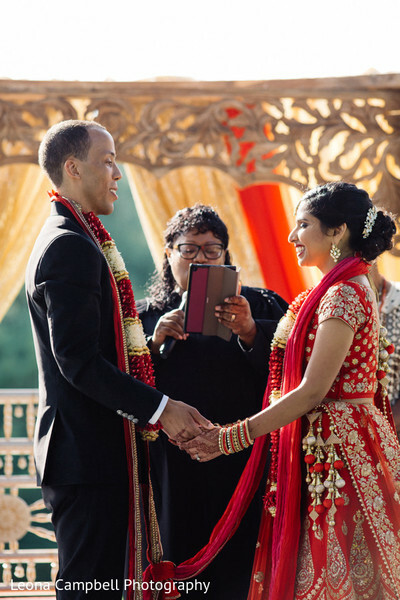 We are head over heels with Rashmi & Sam's fusion wedding and I can't wait to share their wedding details with you! 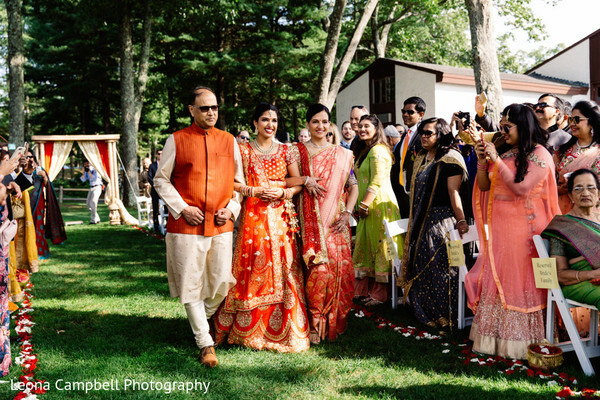 An energetic baraat procession led by our groom Sam in a uniquely decorated golf cart set the mood for a wedding day filled with love and joy. 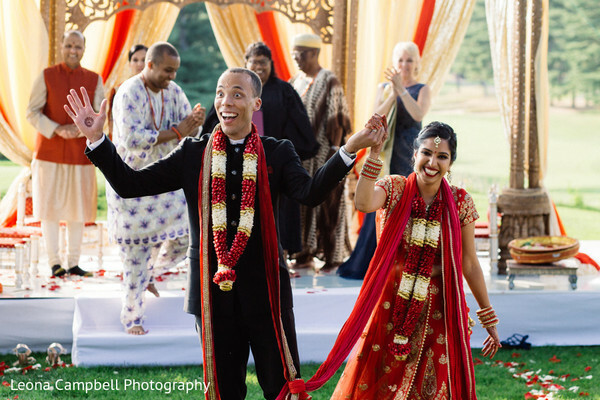 This gorgeous couple was very lucky to have a squad of planners formed by their dearest relatives who helped them build a flawless blend between their Nigerian and Indian backgrounds in one big event at The International Golf Club and Resort! 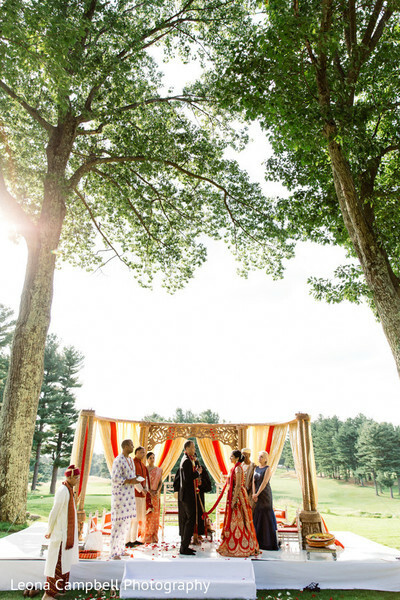 The perfect green lawns of this exclusive spot were the charming scenery were a traditional Hindu ceremony preceded a lovely Christian Ceremony where Sam's sisters delighted them by singing "This Marriage" by Eric Whitacre! 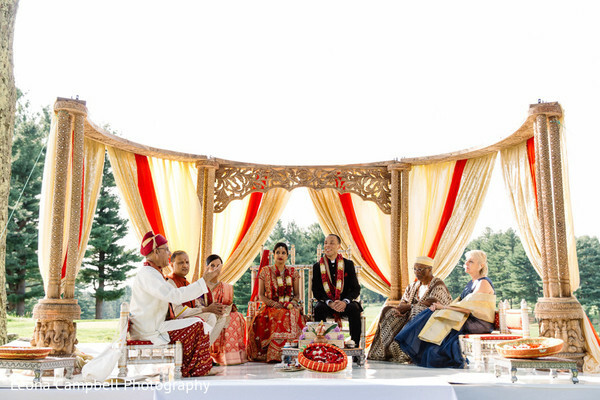 The unique mandap structure that harbored the ceremonies was a design of Alankar Event Planners and I'm loving their creation! 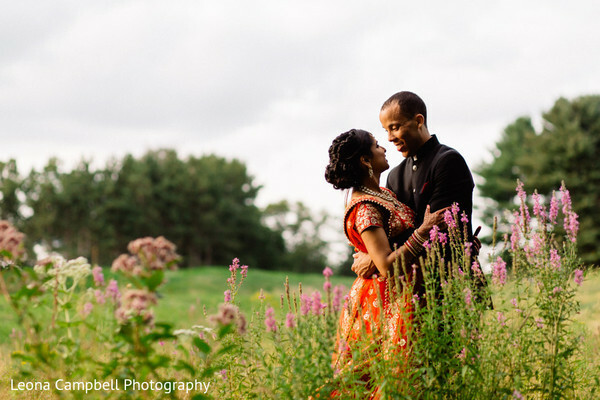 If you are looking for inspiration make sure to check our full gallery beautifully captured by Leona Campbell Photography! 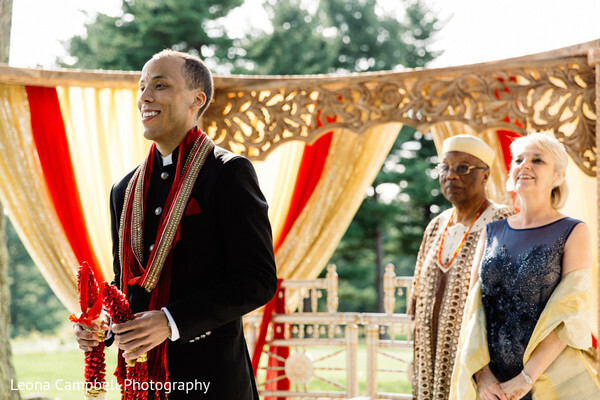 A romantic reception awaits you in our next post!